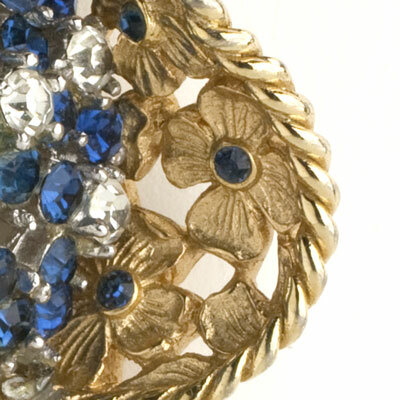 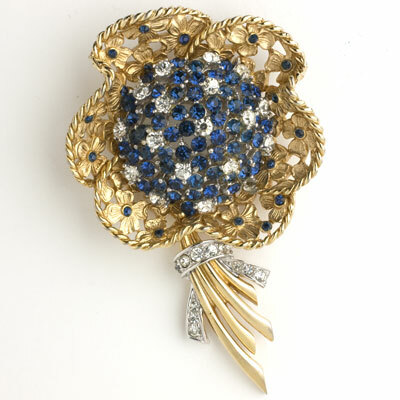 This 1950s sapphire, diamanté and gold-plated bouquet brooch by Marcel Boucher exemplifies the flowing motifs and textured metals of the period. 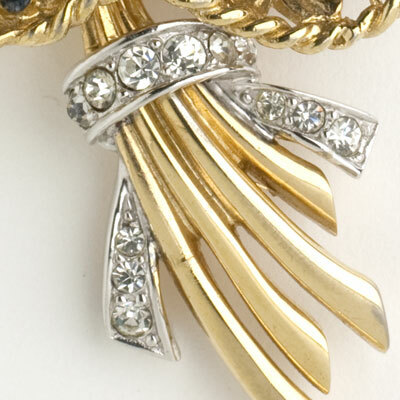 The pavé ribbon that ties the stems speaks to the maker’s attention to detail and design genius. 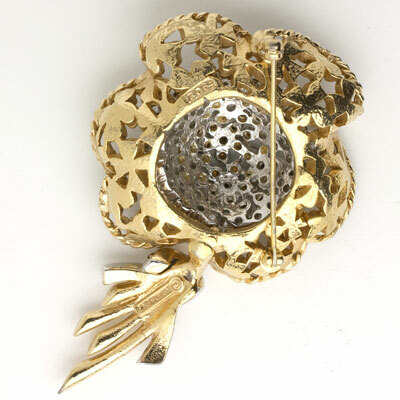 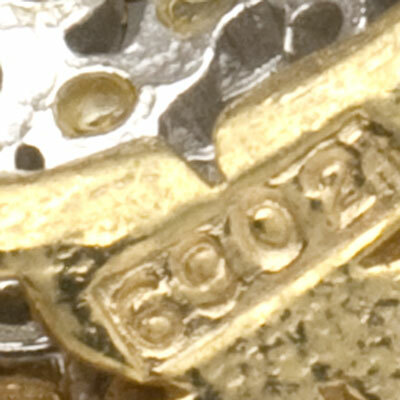 This piece closes with a roll-over safety clasp.